The Commission of Fine Arts will be considering the concept designs today of one of the proposed office buildings and the glass entryway to the retail pavilion planned at L'Enfant Plaza. The proposed office building will be located along Frontage Road and 9th Street while the glass entryway will be in the plaza. 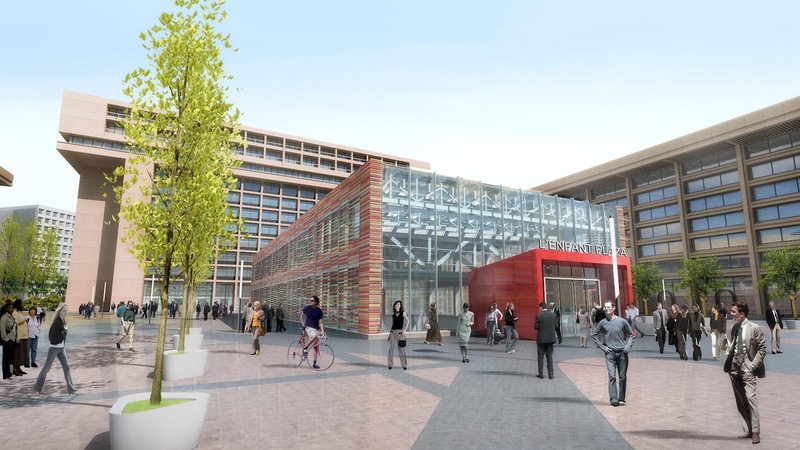 These buildings are only a few of the changes planned for L'Enfant Plaza. More information on the renovation can be found here. 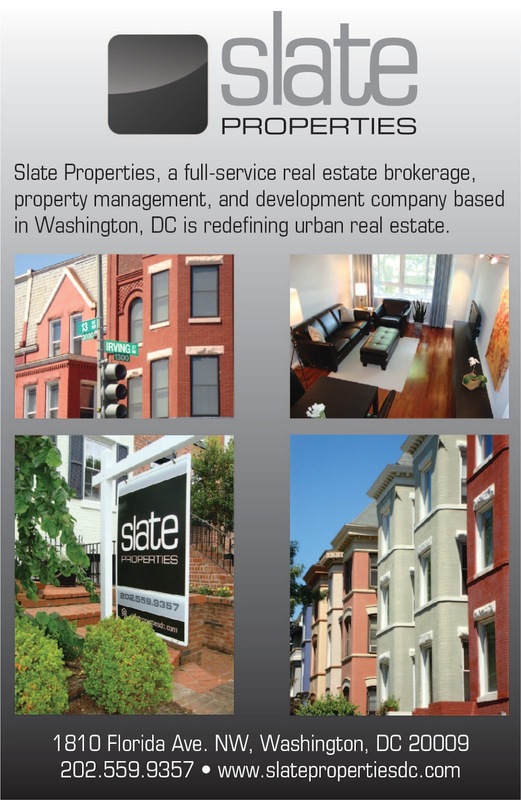 [Commissioner of the GSA's Public Buildings Service Robert] Peck said further development may come in available space on the south side of the National Mall. He said he is working with the National Capital Planning Commission to "create some building sites" there. Perhaps he's referring to the four GSA parcels along the Maryland Avenue corridor as recommended in the Maryland Avenue Small Area Plan Draft? What about the Department of Energy's Forrestal Complex? The memorial will be located in front of the Department of Education headquarters at Independence Avenue between 6th Street and 4th Street. Maryland Avenue runs through the site.